Welcome to the apocalypse. Mankind teeters on the edge of extinction, clinging to the bones of the old while trying to recover long forgotten secrets. It is your choice to either rise above the hardships of this post-apocalyptic world and work towards the betterment of society or embrace the destruction and look to erase the corrupt world around you. The Grand Canyon provides the location for the last bastion of humanity. Shiva-the virus that wiped out the majority of your friends and family-has also affected nearly all survivors, with subsequent generations realizing hidden effects of the strain. The virus caused mutations-some benign, some malignant, and some inexplicable. Fallen Earth is a massively multiplayer online game mixing first-person shooter style action with traditional role-playing game design. The game features more than 1,000 square kilometers of landscape to explore and conquer, 70 towns, six distinct factions, a classless advancement system and a unique crafting feature. The missions you choose determine who you are-will you ally with a faction or rally against it? Where will you stand in the fight for Fallen Earth? To begin your adventure in the Grand Canyon Province, go to www.fallenearth.com. First Person Shooter/Role Playing Game Hybrid: Engage in intense FPS combat with the depth and customization of RPG character advancement. Classless Advancement: Utilize the robust skill-based system to build characters with multiple stats, skills, mutation paths, tradeskills and factions. Massive Real-Time Crafting System: 95 percent of the in-game items-vehicles, consumables, weapons, armor and more-can be made by the players as they scavenge and harvest. Unique Faction Systems: Ally with or rally against six factions to determine how the post-apocalyptic world is rebuilt. Multiple Game Play Modes: Experience multiple types of game play including crafting, exploration, vehicle combat and scavenging in both solo and group play. Tactical Player vs. Player: Battle in one of the open PvP zones or wage war with the factions to claim control of a town. Vast Explorable World: Put survival instincts to the test while experiencing 70 towns with more than 5,500 missions spread over 1,000 square kilometers of zoneless territory. 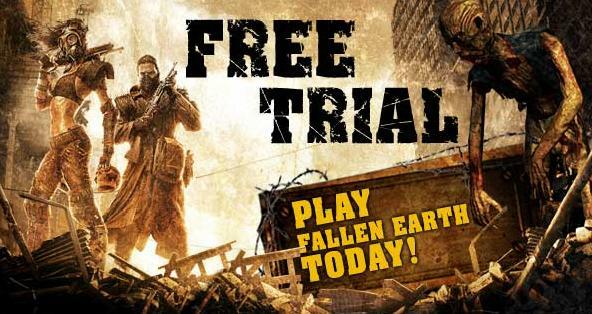 If you are not already registered to Fallen Earth but would like to give it a try, then get the Free 10-Day Trial and begin your journey into the wasteland! Note: Integrated video cards such as Intel and SiS will NOT run this game. 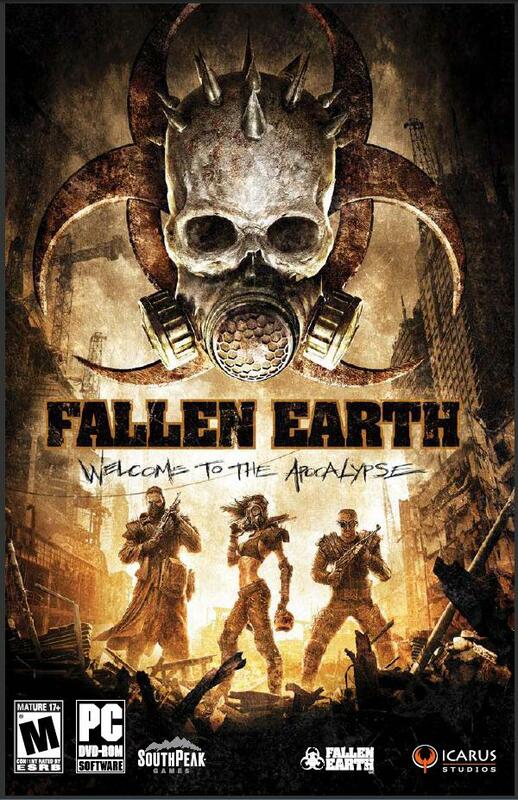 *Fallen Earth is a Massively Multiplayer Online Role-Playing Game. It is played entirely Online and has no offline component; therefore, you must have active connection to the Internet to play. FALLEN EARTH, LLC. and ICARUS STUDIOS, LLC. are not responsible for any fees you may incur from your Internet service provider, which are in addition to your monthly Fallen Earth subscription fee.